The PC version requires a 3D accelerator card. If you’re a true 90s kid, you remember hours of fun navigating the steamy jungle world of Turok: The Dinosaur Hunter on Nintendo 64. The game is coming to Nintendo Switch, so you can take the fun of a late 1990s console shooter and carry it with you on the bus to your grown-up job. The 1990s nostalgia goes beyond just the low-poly graphics and gallons of mist conveniently working as a cover for the N64’s lack of graphical muscle. The official description on Nintendo’s website is also ripped straight from the 1990s. 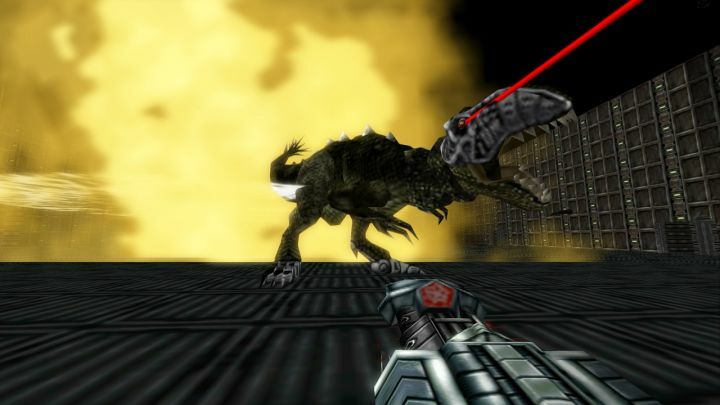 If something like “variable aggression profiles” sounds too good to be true, hold onto your upside-down Ping visors, because that’s exactly what Turok delivers. But why does this ad copy, for a game scheduled for re-release March 18, 2019, sound so prehistoric? Because it turns out it’s the description from physical box for the PC version of Turok: Dinosaur Hunter. You can see a version of that box here, in all its 3Dfx glory. So make sure you have the latest Sound Blaster card installed in your Pentium PC, or just wait until later this month for it to come to Switch, to best hear those waterfalls boil with foam. 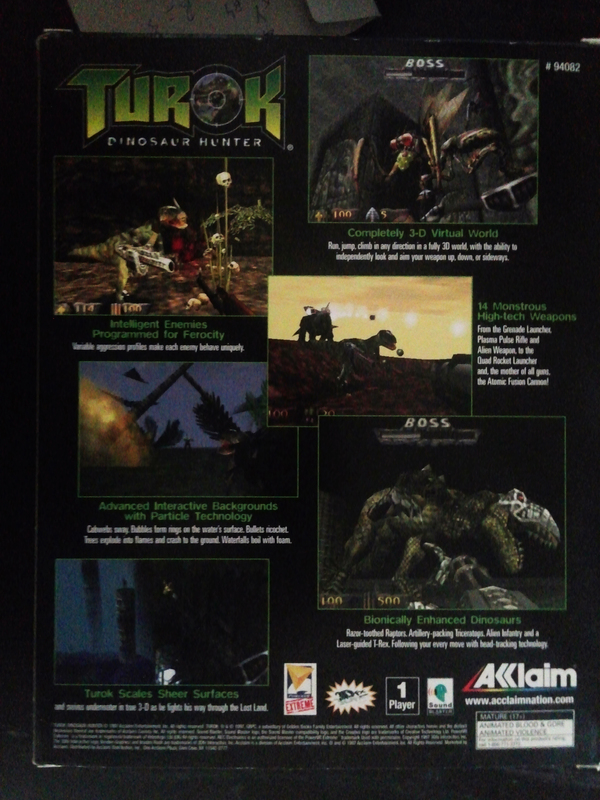 If you’ve never played, be sure to check out our review of Turok: Dinosaur Hunter for Nintendo 64 from 1997. Seth Macy is IGN’s tech and commerce editor and bought Turok: Dinosaur Hunter for N64 on day-1.